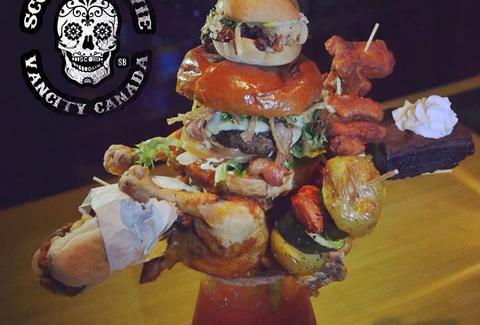 Because the human species can't stop/won't stop inventing bizarre new Bloodys, a Vancouver bar just dropped a $60 brunch cocktail featuring an entire roast chicken. 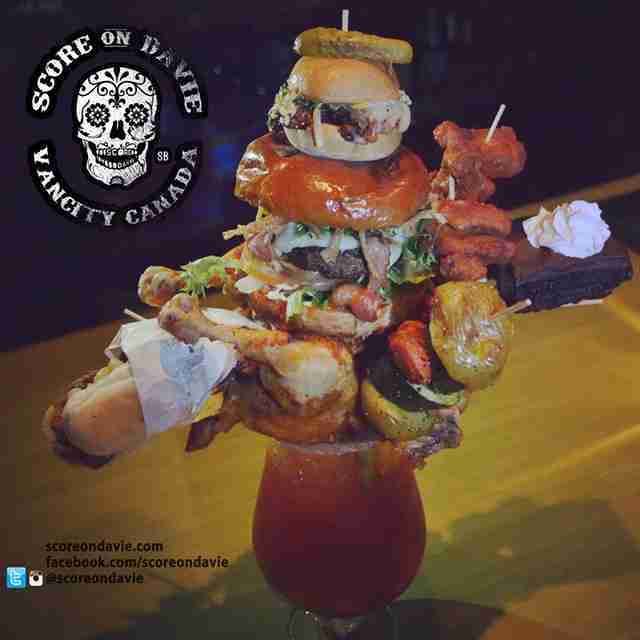 Score on Davie's drink is technically a Caesar, as this is Canada (they're all aboot the Clamato), but who cares about semantics? On top of that whole chicken, the Checkmate Caesar features a burger, slider, chicken wings, a pulled pork mac 'n cheese hot dog, roasted veggies, and even a brownie for dessert. It's designed for two people to share... though unless those two people are both Marlon Brando, you might want to bring a couple other friends along. Kristin Hunt is a food/drink staff writer for Thrillist, and was pretty on board with this until she heard "roasted veggies". Follow her to more meats at @kristin_hunt.